Blackie will now have a well-deserved break after having an outstanding preparation, earning his owners prize money just shy of $100,000. 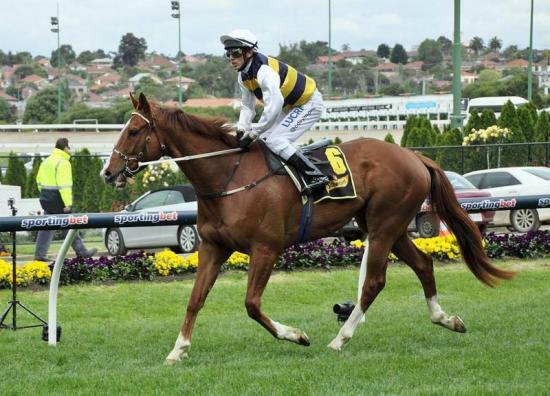 He kicked off in the Group 3 Bobbie Lewis at Flemington over the unsuitable distance over 1200m. He flashed home late, but clearly wanted more ground. At his next start at Moonee Valley in the Open Handicap over 1500m he dominated beating Sertorious and Lord of Brazil by 3.5 lengths. Sertorious then went on to run 2nd in the Cranbourne Cup, win the Bendigo Cup and run 2nd in the Queen Elizabeth. After his Moonee Valley win, he ventured to Caulfield for the Group 1 Toorak Handicap where he ran the race of his life to finish 3rd to Solzhenitsyn and Trevieres. He then headed back to Moonee Valley to contest the Group 2 Cristal Mile but was poorly off in the weights compared to his rivals. He still ran a super race to finish 5th beaten 2.6 lengths to Toydini, Speediness and Sacred Falls. His final run this preparation was in the Group 1 Emirates Stakes, where he had every opportunity but just didn’t fire on the day. Hopefully we can retain his good form when he returns for an autumn campaign.